Making Art is a very personal business and as each artist is different, so each artist has a different way of making Art. Helping artists find a way of using the materials and forming a relationship with the media is both the challenge and the satisfaction of working in an editioning studio like Thumbprint. Our many years of experience of working with a wide range of artists and our well-equipped studio, facilitate the process of engaging with the medium and developing a successful working practise. Thumbprint Editions Ltd is a printmaking studio, dedicated to producing etching and relief prints with artists. Our methods are guided by the conviction that printmaking is an artistic medium like painting, sculpture, video etc and that its many facets offer artists new ways of exploring and expressing their ideas. 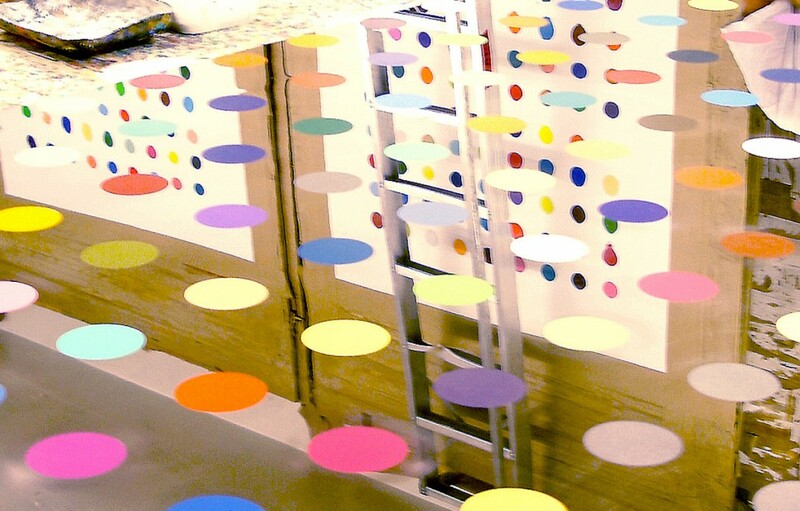 Generally, the artists who work with us at the studio have established their reputation and worth in other media and wish to develop their work through a different system of invention. 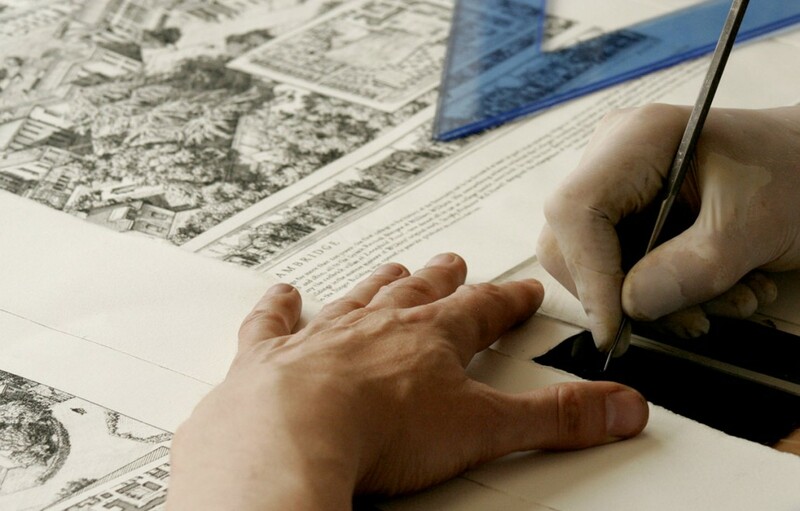 Projects are usually commissioned by a publisher, although sometimes the artist initiates the work. 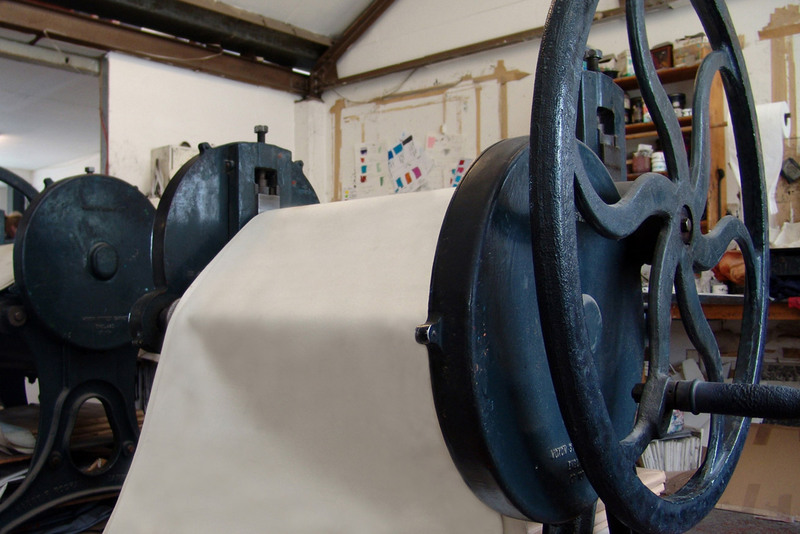 The studios are located in a light industrial building in London and are equipped with an impressive range of facilities, including three Rochat etching presses, one relief press and a purpose built Dutch press, capable of printing etchings and relief prints up to 1.2m * 2.5m. A Spektraproof platemaking frame can make quality photo-etchings and polymer Gravures up to 500 * 650mm, while the large printdown-frame and lamp can expose photoetchings up to 1220 * 2440 mm. We have an exposure unit for polymer Gravure capable of handling the maximum A0 size plate.